Glasgow based technology company RHA today announced its first true wireless earbuds, TrueConnect. RHA TrueConnect are said to have been engineered with industry-leading sound and are claimed to have a battery life of up to 25 hours. The earbuds by RHA come with an IPX5 certification. This means that they can be used in any kind of weather conditions. The IP rating also makes then sweat-proof, so they wouldn’t be surprised if they are used in heavy workout sessions. The frequency range of RHA TrueConnect wireless earbuds starts from 20Hz and goes up to 20,000Hz. The stem of the earbuds has an inbuilt antenna and it uses Bluetooth version 5 in order to connect with user’s device and provide audio. The stem also places the microphone closer to the mouth of the user in order to ensure that the call quality is clear and detailed. 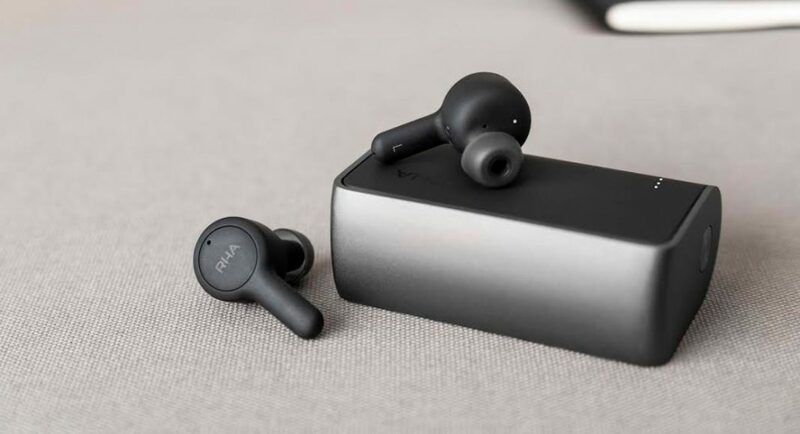 RHA has also said that the TrueConnect wireless Earbuds have been designed with user experience in mind and that the subtle earpieces of the earbuds maintain a low-profile in the ear, hence avoiding any strain. The company has said that the earbuds have a battery life of five hours and come with another four charges of five hours in the case — making the total battery life to be 25 hours. Also, the battery level is instantly apparent in the light display. Completely charging the RHA’s newly launched earbuds take one hour and forty minutes. If you instead opt for fast charging, 50 perfect of the battery of the RHA TrueConnect earbuds gets charged in fifteen minutes. The case of the RHA TrueConnect wireless earbuds is designed in a way that it can easily be opened with one hand, and the company claims that this has been done to keep the user experience effortless. RHA TrueConnect wireless earbuds has universal integration with digital assistants, which basically is the company attempt to make it smarter. The earbuds come with a three-year warranty and are available online and in stores at a price of Rs 14,999. Prior to this, this year also saw the company introduce the CL2 Planar, which are claimed to be the world’s first planar-magnetic in-ear headphone.